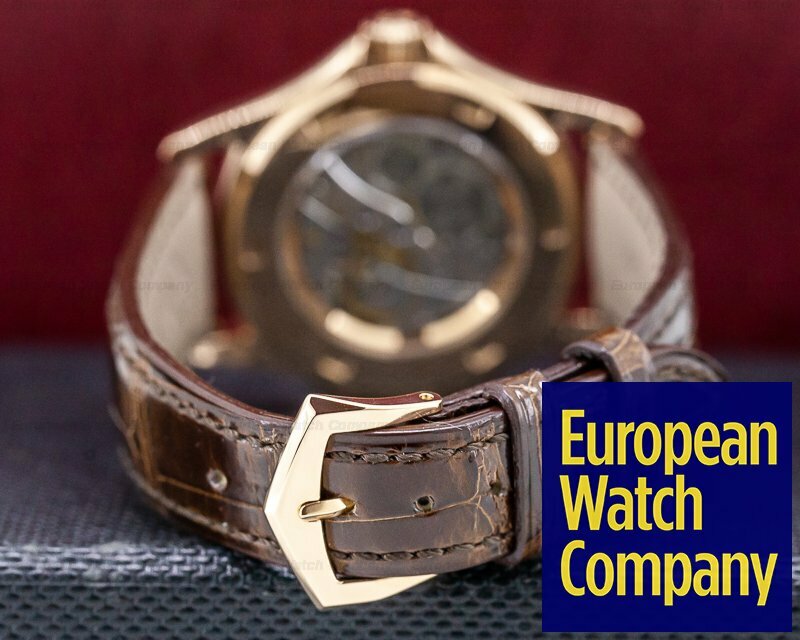 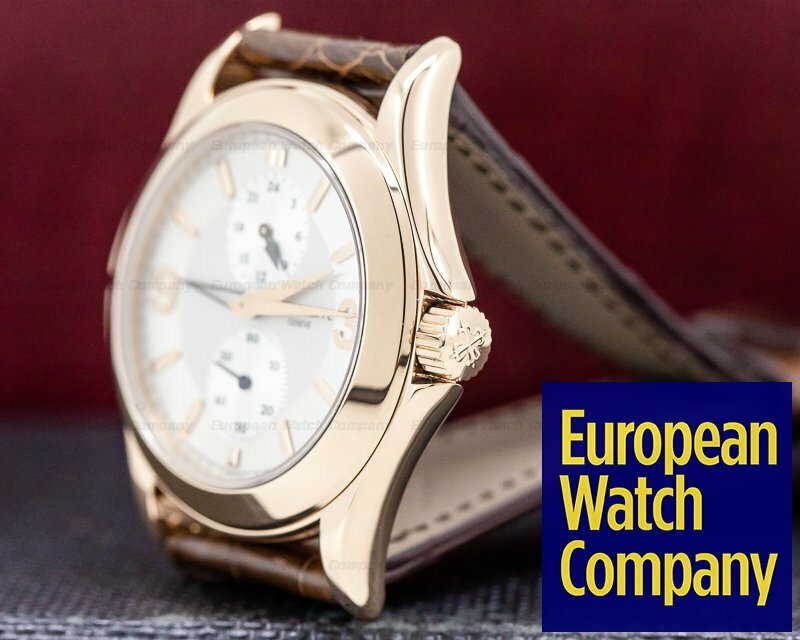 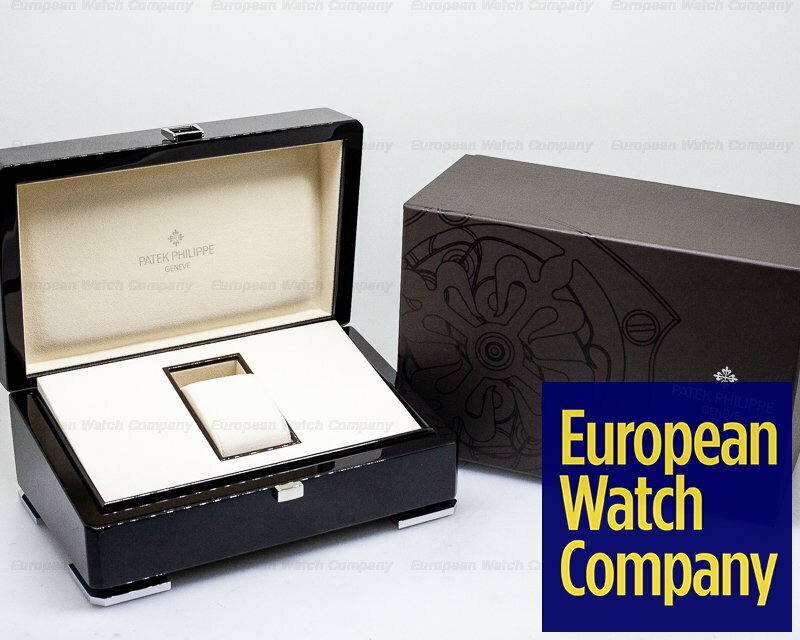 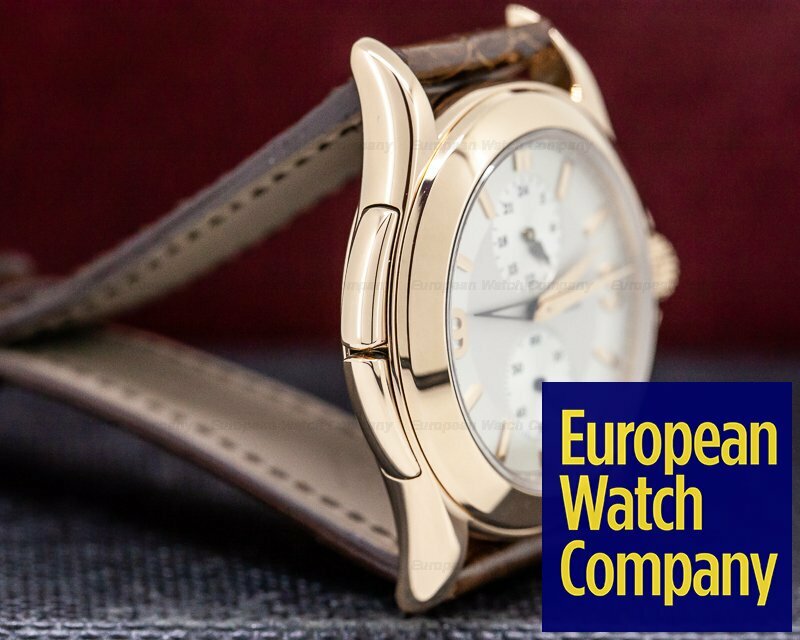 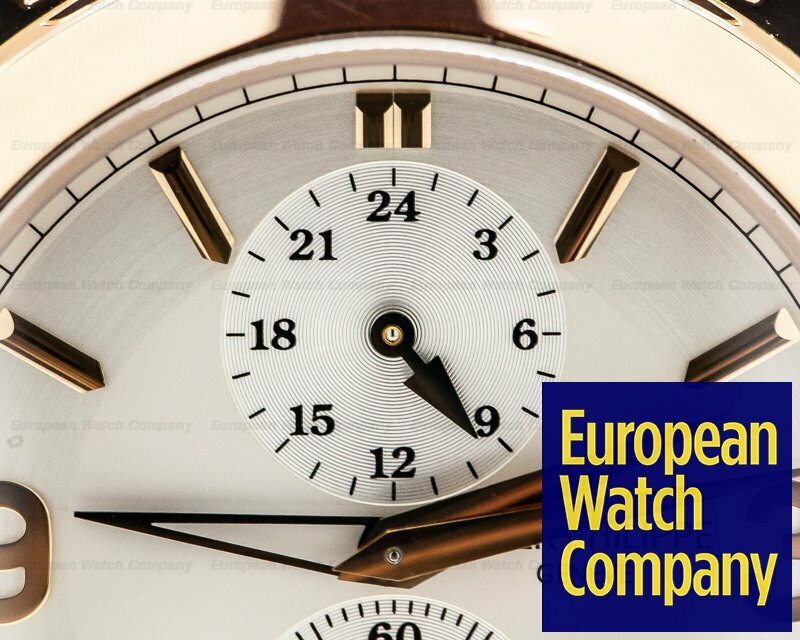 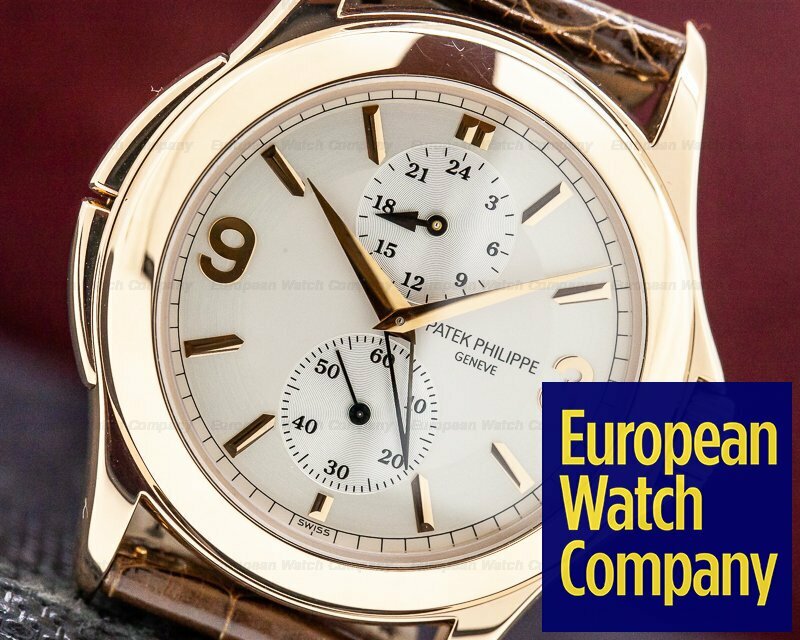 30532 Patek Philippe 5134 Travel Time 5134R011 5134R 011, 18k rose gold on a strap with an 18k rose gold tang buckle, local time can be set forwards or backwards using the pushers on the side of the case, manual wind Patek Philippe caliber 215/156, silver dial with applied rose gold markers and Arabic numerals, small seconds at 6 o'clock, home time 24 hour display at 12 o'clock, display back, sapphire crystal, water resistant, diameter: 37mm, thickness: 10mm Like new with original box and certificate dated February 2010. 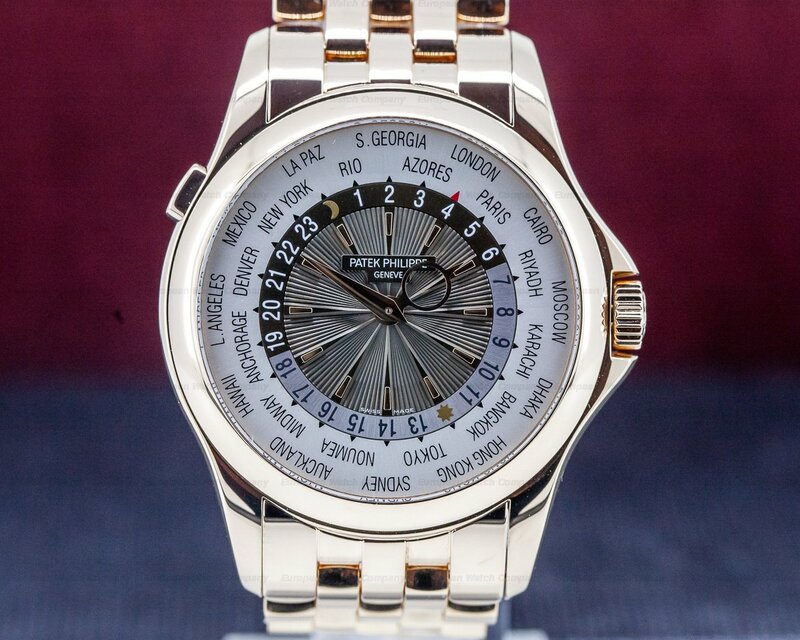 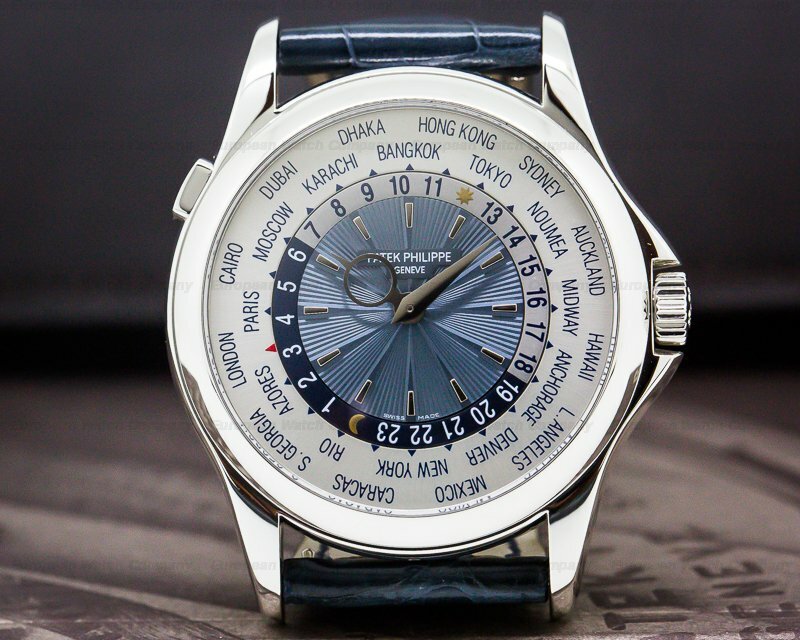 This is an 18K rose gold Patek Philippe Travel Time, 5134R. 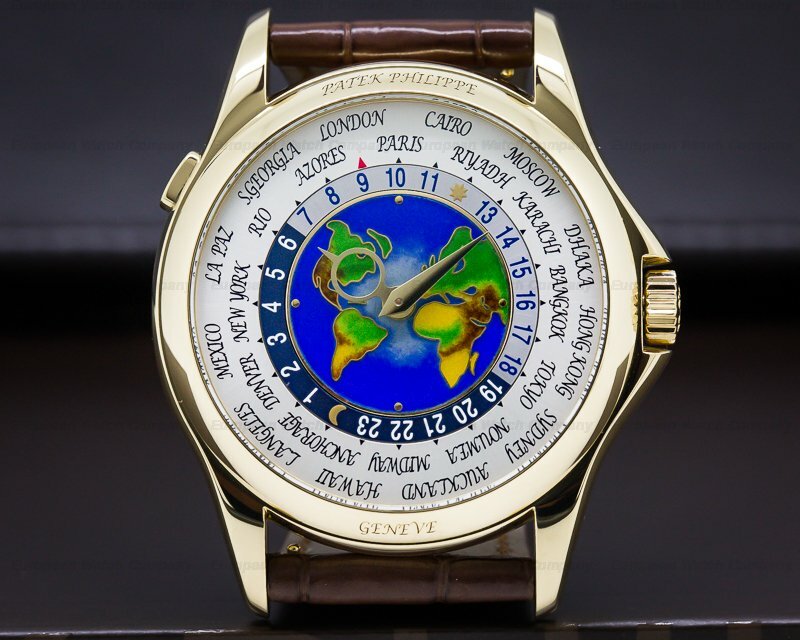 It has a leather strap with a matching 18k rose gold tang buckle, and a scratch resistant sapphire crystal. 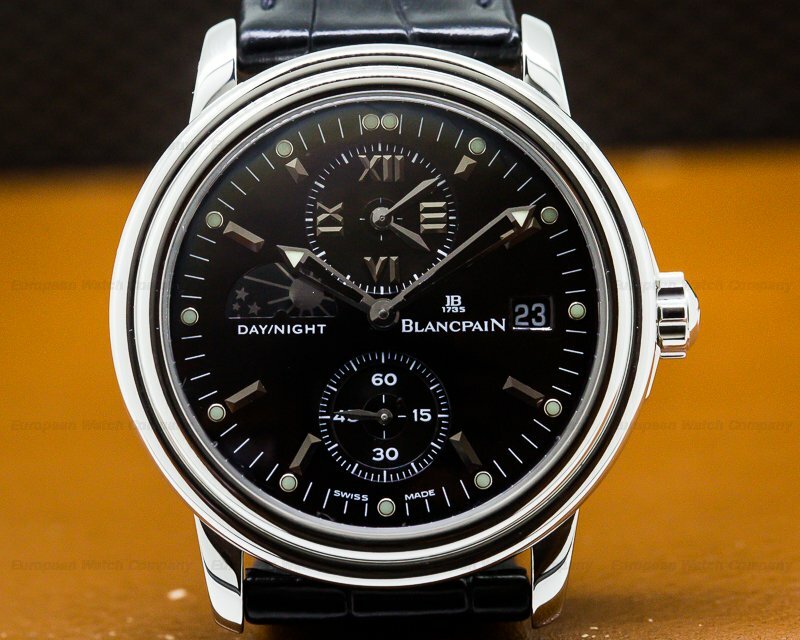 The 37mm diameter solid three-body case, wide stepped bezel, and downturned lugs are polished/brushed. 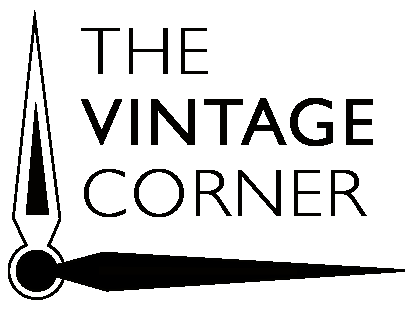 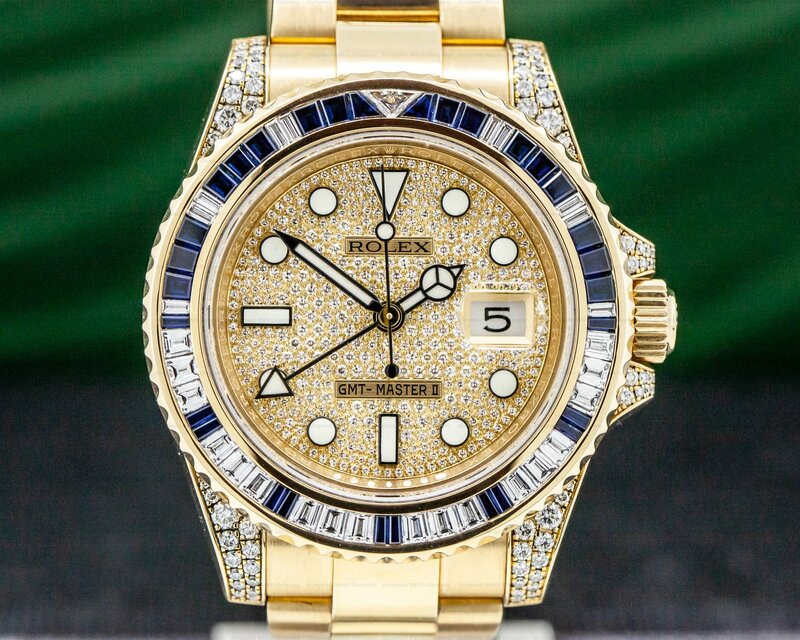 It has a screwed-down sapphire crystal exhibition case back, and the pusher at the 8 o'clock position advances the second time zone ahead in one-hour intervals. 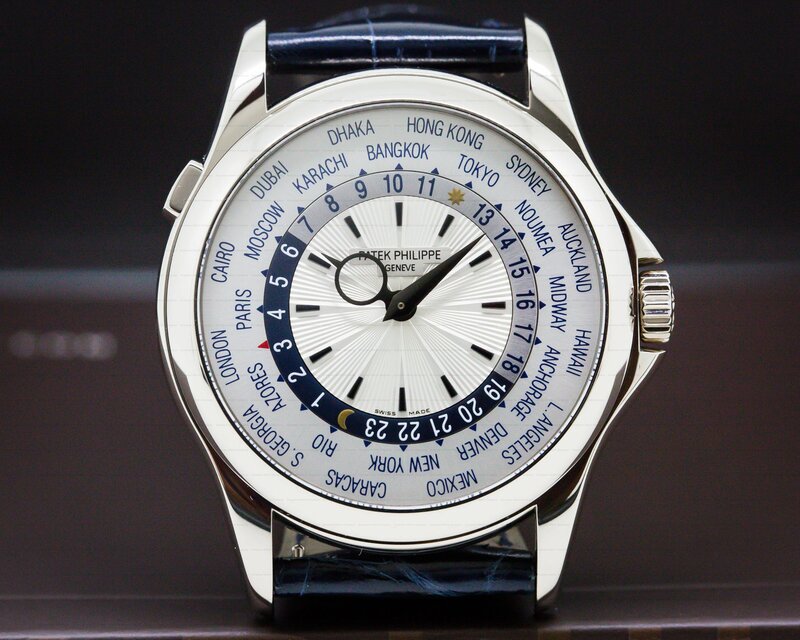 The pushbutton at 10 o'clock reverses the same hand. 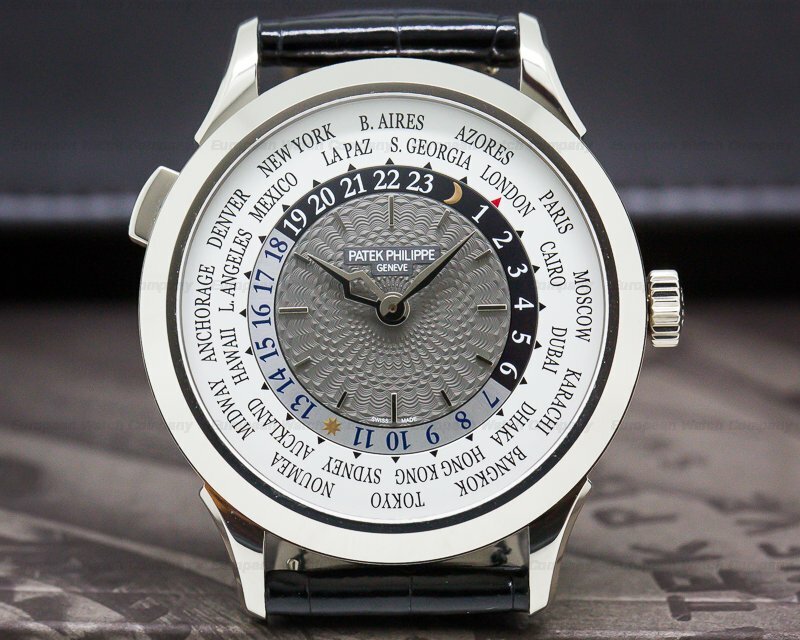 The dial is two-tone silver with applied rose gold Arabic numeral hour-markers at the half-hours, rose gold dauphine hands, and baton indexes. 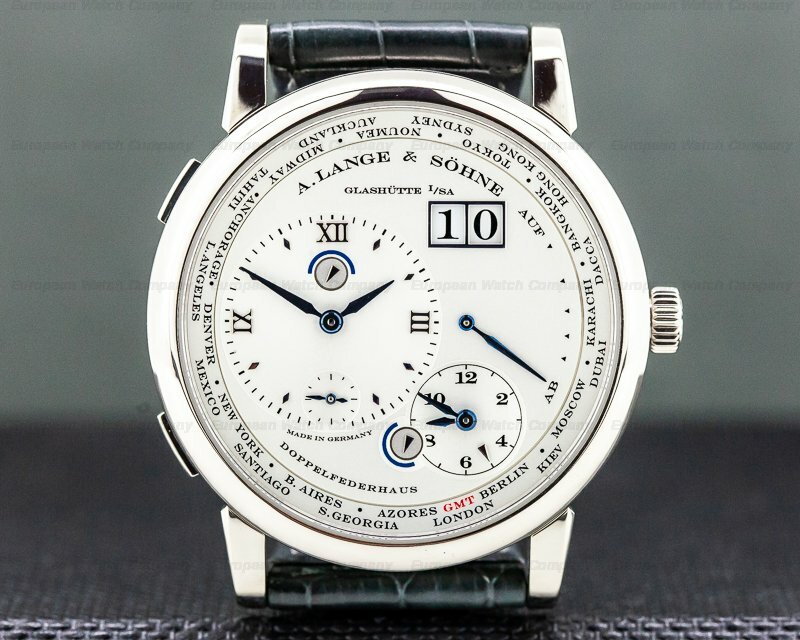 There is a subsidiary constant seconds dial at 6 o'clock, and a 24-hour time zone dial at 12. 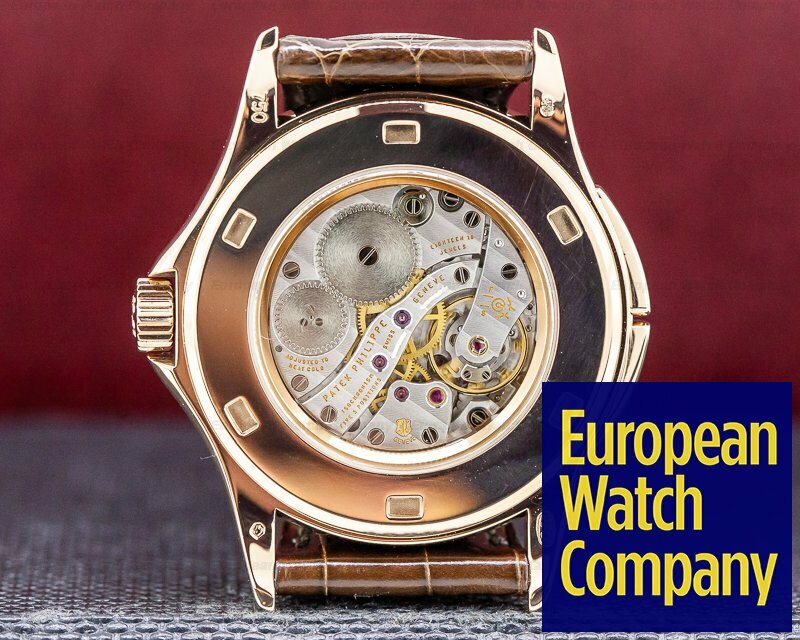 It's water resistant to 25 meters/80 feet, and the 10mm thick diameter case, dial, and movement are all signed. 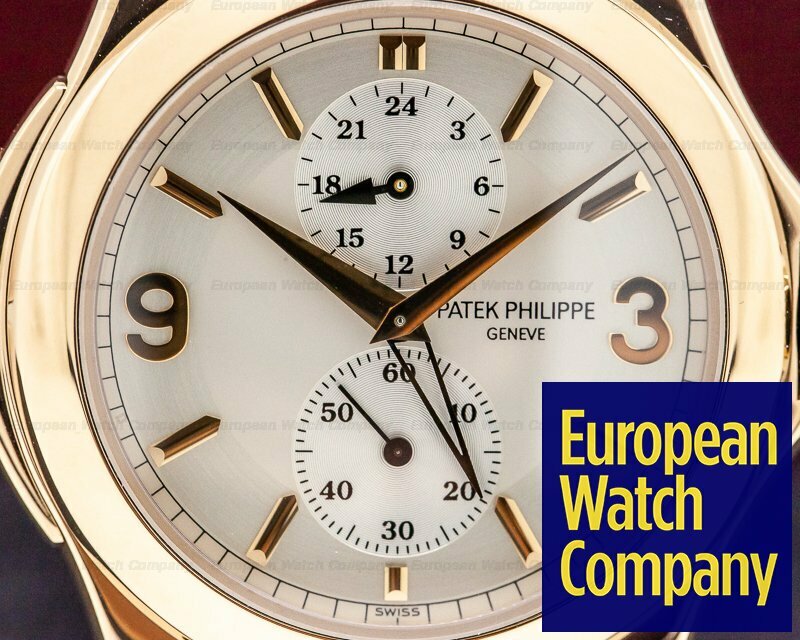 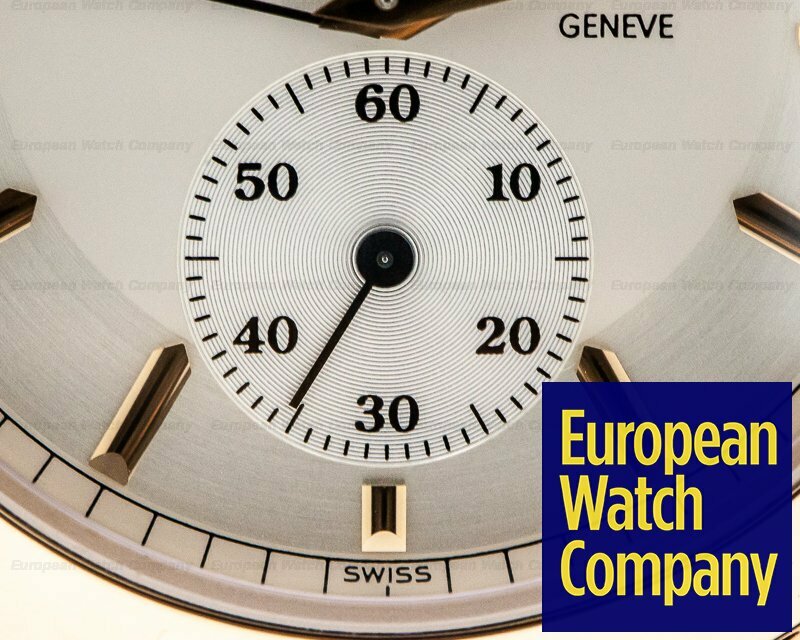 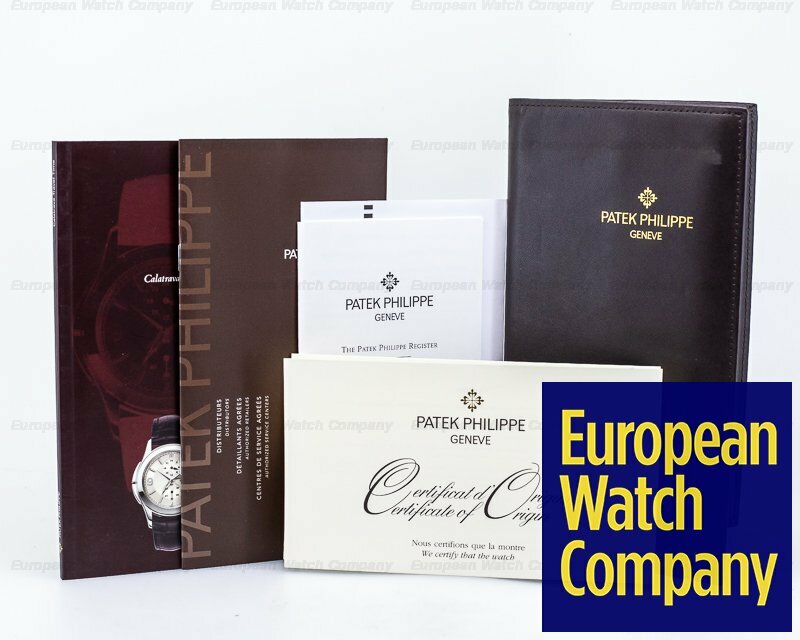 The manual winding Patek Philippe caliber 215/156 movement is rhodium-plated, with fausses cotes embellishment, and it's stamped with the seal of Geneva quality mark. 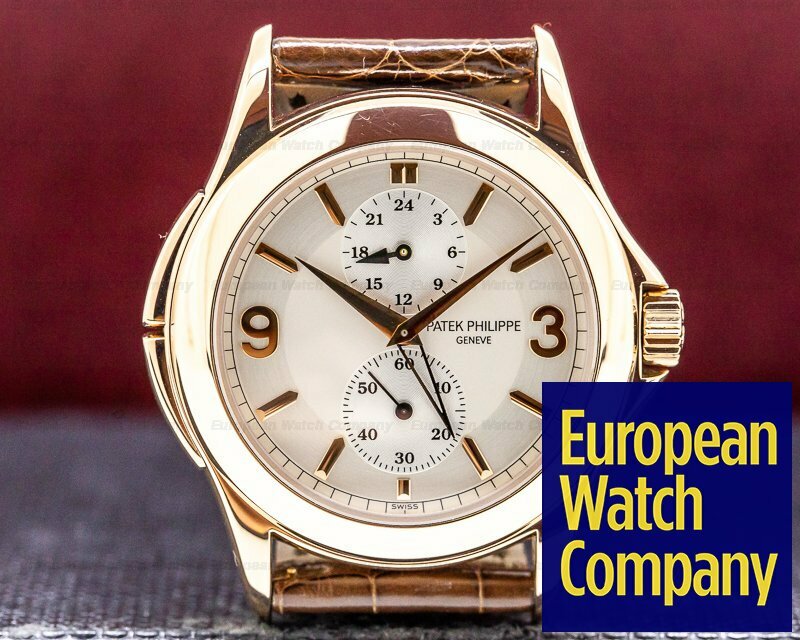 It's constructed with 18 jewels, a straight-line lever escapement, and the patented Patek Gyromax balance that's adjusted to heat, cold, isochronism and 5 positions. 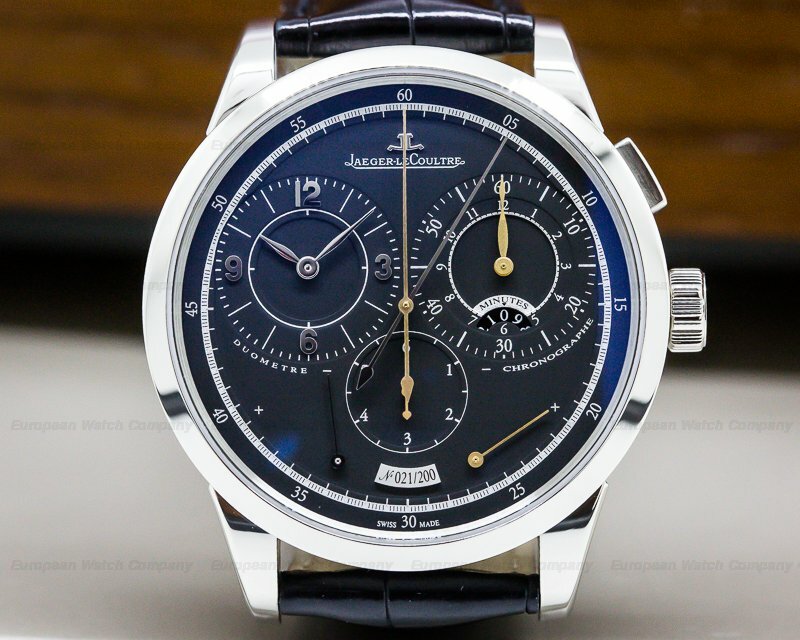 It includes a shock absorber, and a self-compensating free-sprung flat balance spring. 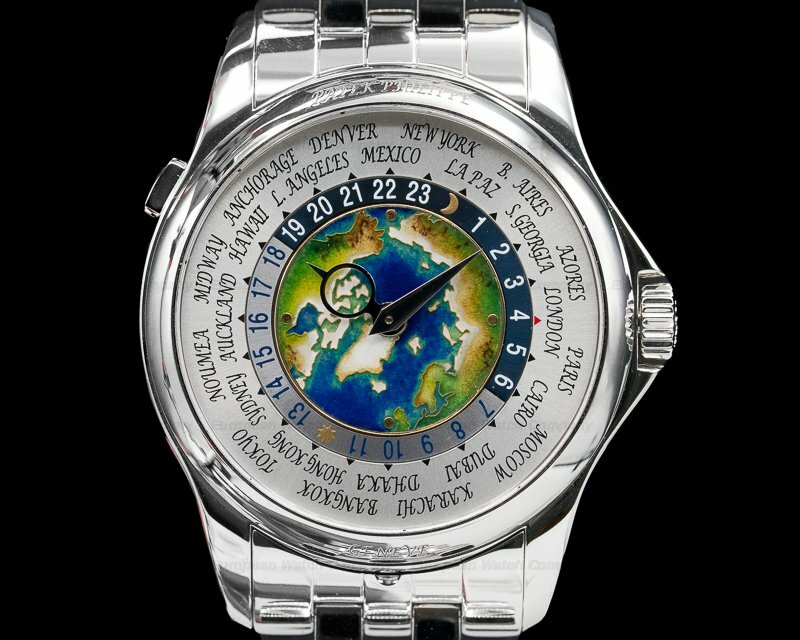 This model was first produced in 2001.